The Indian River Lagoon watershed includes most of the land from South Volusia County to South Martin County east of interstate I-95. It is a HUGE area and every household therein contributes to the load of nonpoint source pollutants reaching the lagoon. Like it or not, every house contributes to the source of pollution entering the lagoon and every house can make a difference. To successfully restore the Indian River Lagoon, we all must do our part. Everyday actions such as fertilizing the lawn, washing the car, or walking the dog can have a major impact on Lagoon water quality. The Lagoon can’t be fixed by government and non-profit restoration partners alone. It will take all of us. By making simple changes in our lives, we each can take part in restoring the Lagoon for future generations to enjoy. Here are a few tips for reducing the pollution going to the Indian River Lagoon. Give Your Lawn a Break From Fertilizer This Summer! New fertilizer rules are in effect. Click here for more information on your local fertilizer ordinance. Easy instructions are linked here or attend a workshop. Cigarette butts are still the #1 item recovered during Coastal Cleanup events. Batten the trash in your boat or truck. Plant pretty native vegetation along the shoreline that doesn’t require any fertilizer or mowing. Click here to get started. Cut off top of weed and carefully pour boiling water over it. Be Floridian and enjoy our native wild flowers! Create islands of flowers in your lawn-scape. Start here for ideas. Common aquarium plants and lionfish are outcompeting native species. Learn more about trapping and eating lionfish here. Our precious sea grass will be trying to grow back. Don’t accidentally kill it! Steer clear of sea grass beds in shallow water. There are precious few left! Don’t curb your dog. Bring a bag and pick it up. You don’t want to end up swimming in it! Capture rainwater before it leaves your lot and use it for irrigation later. Click here to view a video on how to build and install a rain barrel or attend a rain barrel workshop near you. Some cities will provide a rain barrel rebate on your Stormwater utility fee. 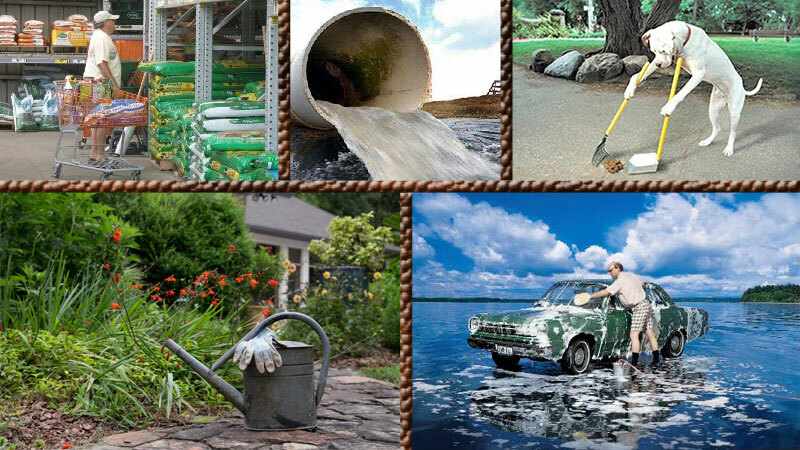 Find out if your city does by contacting their stormwater department! Don’t pour them in the toilet or down the drain. Scratch out identification and put in trash or look for a drug take-back program near you. For more information, click here. Wash your car on the grass or take it to a car wash. Washing your car in the street or driveway is like washing it on the lagoon. Join MRC’s Lagoon Lifesaver corps of volunteers. There are more than two dozen opportunities to contribute to Lagoon Health. Be a docent or help design exhibits and interpretive materials at the Ted Moorhead Lagoon House, located at 3275 Dixie Highway in Palm Bay. Contact volunteer@mrcirl.org for more information. Mangroves help to clean water, stabilize shorelines, and provide habitat. Collect mangrove propagules and bring them to MRC for habitat restoration or plant them along the shoreline. For more information on mangroves, click here. Encourage policies to protect the Indian River Lagoon. Click here for a list of local representatives. Stay current on what’s going in the Indian River Lagoon community by signing up for MRCs e-newsletter, The Marker! The Marker provides interesting scientific articles, volunteer opportunities, events, and information on policy and political actions once a month. Click here to sign up for The Marker electronic newsletter. Volunteer or attend a workshop. Check MRC’s events calendar to find out what is going on! Join the Campaign to Save the Indian River Lagoon! Join MRC today! Your support for the Indian River Lagoon and Marine Resources Council is needed more than ever! Join us in our work and pledge today.